In today's world, building credit is an important aspect of anyone's finances. It helps determine whether your rates on lows and whether or not you are a reliable borrower. This raises the question; when is the best time to start building credit? 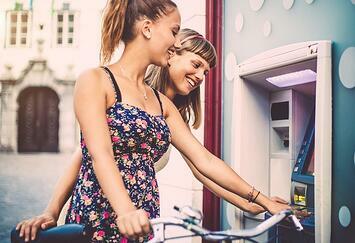 For many, starting to build credit while still in their teens is a viable option. Cyprus Credit Union has a Teen Visa program that helps teens learn the value and power of credit. In order to be eligible for this card, a teen must be a member of Cyprus and have a parent as their co-signer. In most cases, your teen must be 18 or older in order to get their own credit card or auto loan. Encourage your teen to get a job and begin saving. If they don’t have one already, they should also open a checking and savings account. Remember to ask about specials that your financial institution may have when it comes to student accounts. You can start off small and add your teen onto your existing lines of credit. While they won't build credit as quickly as they would with their own card, it's a good way to get started. If you feel your child isn't ready for a credit card of their own, you can still add them as an authorized user of your credit just without their own physical card. With Cyprus, you can use our Card Control app to help set up parameters for how your teen is able to use their card. For example, you can set their card to only be used in a certain geographical area or by a specific type of vendor. To get started, you can apply online or stop by one of our branches and ask about our Visa card and Teen Visa program.